This section will cover the steps to learn How To Make a Budget And Save Money. Many people say, “I need to get on a budget!” But when it comes down to it, they don’t know how to do it. It can be really hard to change the way you spend money. It’s as difficult (and sometimes more difficult) than changing your diet. But the benefits of budgeting far outweigh the difficulties. And if you know what you’re doing, it’s really not too hard to make a budget and stick to it. Many people make the mistake of giving up before they’ve really gotten started. 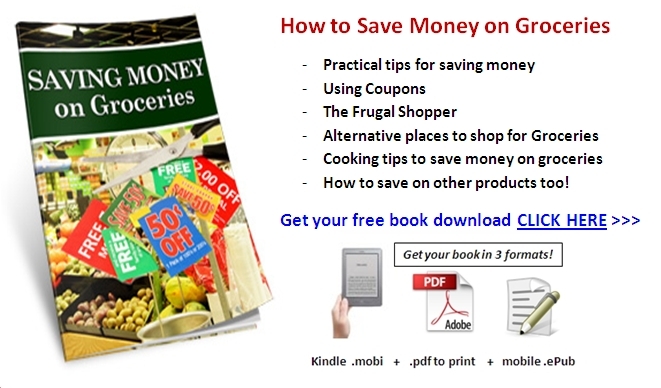 This online DIY guide should help you learn better finance management by budgetting your money income and outgoings, along with a free download of my book about frugal shopping tips "How to Save Money on Groceries"
There is also a big selection of pages here detailing the specific tips for saving money in other areas of your expenses. Starting a budget can be an intimidating thing for many people, especially if you haven’t ever had one before. In fact, you may be under the impression that a budget is just a set of numbers that represents money you can’t spend. However, this is not what a budget really is. In fact, starting a budget can actually be fun if you do it right! Budgets allow you to be in control of your money instead of letting your money control you. While a budget will give you some guidelines as to what you can spend your money on, it doesn’t mean you won’t ever be able to have fun again. It just means that you will be more aware of what you are spending your money on and you may have to save up for those fun times. It is not nearly as difficult to do as some people think it is - I promise! I believe that everyone should know how to make a budget and save money in their spending, but maybe you are not so sure that you do. 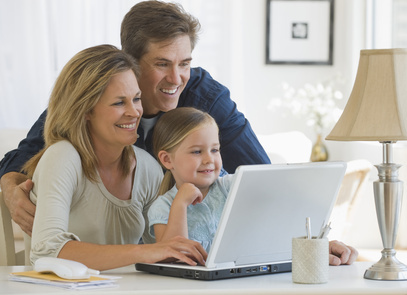 In this guide you’ll learn how to create a household budget that will work for your family. If you follow along, you’ll see it’s not as hard as you think. Let’s first take a look at the importance of budgeting and why you should spend the effort. While common sense might tell you that budgeting is a good idea, you may need a few reasons to help you get motivated. Budgeting is one of those things that isn’t always fun at first, but you’ll enjoy it when you start to reap the rewards. Budgeting will allow you to have more financial security. Do you get a pit in your stomach every time you see the stack of bills sitting the mailbox? Are you always wondering how you’re going to make it to the next paycheck? Peace of mind is one of the greatest benefits of budgeting. Instead of wondering where your next dollar is going to come from, you can relax. When you’re living within your means and you put a little money aside each time you get paid, it doesn’t take long to be able to breathe easier. Having money in savings can not only give you peace of mind, but it can truly protect you if you get in a situation when money gets even tighter. For example, when a layoff comes to someone in your family, having money in savings will protect you from losing everything. Making a budget also helps you to prepare ahead of time for expenditures. Instead of just spending without thinking, having a budget gives you a reference for making decisions about your finances. If you’re like most people, you just spend money if you have it instead of thoughtfully considering each purchase. Budgeting helps you to understand the difference between the things you need and things you want. Unless you have unlimited funds (and that’s probably not the case since you’re reading this), creating and living by a budget makes sense. If you’re in a lot of debt, it really makes sense to stick to a budget and try to get out of it. Being in debt is one of the most difficult situations to escape from. Debt can make you feel enslaved to a corporation that doesn’t care about whether you have children to feed, a roof over your head, or a job. It’s easy to get into debt – even if you’re making great money. In fact, people who make a lot of money are often in debt up to their eyeballs to keep up with other affluent friends. But being in debt means you don’t really “own” anything and puts you in danger of major financial woes. Imagine making a six-figure salary and charging lavish items on credit cards. While you might be able to keep up with the payments as long as you have a job, what happens if you lose it? You might be thinking that it won’t happen to you, but it can happen to anyone. Before you know it you’re not able to pay credit cards, car notes, or even your mortgage. It might not have seemed unreasonable to get into the debt when your income was good, but when you lose your income it can be financially tragic. When you don’t buy items you can’t afford, you’re protected from the danger of losing everything to debt. There’s strength and confidence in being able to pay cash for your purchases. So, how are you supposed to know if you need a budget or now? Below are a few questions that, if you answer honestly, will tell you if you will benefit from a budget. 1. Have you ever had a zero balance on your credit cards? Many people look at credit cards as “free” money and always carry a balance without ever knowing what it’s like to have one paid off. Does this sound like you? A budget will help you pay off your credit cards and become more financially independent. 2. Do you “blow” through your cash? When you find yourself with a little extra cash, do you tend to spend it immediately? A budget will help you keep track of where your money should go, which will help you make smarter decisions with the “extra” cash you find yourself with. 3. Do you have a savings account? 4. If you do have a savings account, do you make regular deposits? Now, if you do have a savings account, then that’s great! However, the next question is do you make regular deposits into it to build it up? Having a savings account is a vital part of becoming financially free, which is what budgets are designed to help you do. And, in order to build up a savings account, you need to be making regular deposits…say, every paycheck. A budget will help you do this! 5. Do you feel broke most of the time? How many times have you had to turn down a lunch date with a friend because you didn’t have the money in the bank to go? If you often feel like you can’t afford to go out and do the things you enjoy, then creating a budget will help you remedy this problem. And, when you go out, you’ll be able to enjoy it because you’ll know the money is there! 6. Do you live paycheck to paycheck? Do you feel like once payday arrives that you’ve got enough money to last, but suddenly find yourself scraping by until the next pay check arrives? If you are one who lives paycheck to paycheck, a budget will help you get your finances back in order so you won’t have to scrape by until the next paycheck. It will be hard work at first, but it will be worth it in the end! You may have tried to budget before but not have had success. That could be because you haven’t really gone about it the right way for you. While budgeting can be challenging, it’s not impossible. When you have a budget, you need to be realistic about your own family and have good communication. In this guide you’ll learn how to do that – it doesn’t always come naturally to people. You’ll also need to be committed to following through with your budget. Setting some goals can help you to have motivation and to see your success. Don’t worry – we’ll cover all of that here as you continue reading. While talking about money seems to be pretty objective and about dollars and cents, in actuality it’s quite emotional. You may have many feelings surrounding your financial situation. Some of those are good and some can be very bad. It’s important to separate your value as a human being from your financial value. Everyone makes mistakes and has difficult challenges. If yours happen to be financial, you can sometimes feel desperate, humiliated, and embarrassed. You’ll need to try to let go of those feelings so that you can look at things more objectively. It will feel really good to get in control of your funds. And if you’ve made financial mistakes or are experiencing hard times, you should feel proud that you’re ready to face things. Finances can be tough for couples to discuss and manage. If you’re in a relationship where you share the same household or if you’re planning to in the near future, you need to learn to communicate about money. This can be a major challenge for any couple. Set some guidelines about being open when discussing money. You’ll also need to make sure not to make things personal. You may have very different ideas on how to spend money – in fact you probably do. Try not to make personal attacks when you disagree about money. If you find that you’re getting in a heated discussion, it might be best to take a break and cool off before continuing. Working through financial issues is tough, but necessary if you’re going to have good financial health. You may want to look for some resources to help you communicate about money as a couple. 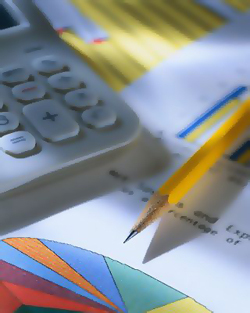 A financial counselor can be beneficial if you need an objective ear. 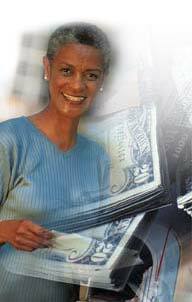 You may also want to look at books designed to help couples get on the same page about money. You may be one of the hundreds of people who are trying to create a budget the entire family can follow, but just don’t know where to start. Well, the answer is to start at the basics. Below are the basic principles for budgeting to help you create a good family budget. Before you can create a budget, you have to know what your household income is every month. So, sit down and look back at your (and your spouse’s) pay stubs for the past few months to get a good idea of how much money you have coming in each month. Obviously, this may change a little each month so you will need to get a good average and go with that. Once you’ve determined your monthly income, go back and review your expenses over the past few months. How much do you pay each month in the normal bills, car payments and mortgage? These things are top priorities so write them down first. Then move on to expenses such as entertainment, groceries, fuel, etc. Once you see how much you spend in each expense category you can budget money out to pay for these things. Now, keep in mind that the amount of money you spend on your bills, mortgage and car payments is a “must have” expense, meaning you have to budget enough money for these categories. However, the other expense categories can be trimmed back if needed. Make sure your expenses (everything) doesn’t exceed your monthly income. One of the biggest problems people face when creating budgets is that they don’t separate their wants from their needs. You need to know what your needs are and if something isn’t a necessity, then it is a want. If you want your budget to work then you have to determine if what you’re buying is a must-have need…or if it is a want and you’re trying to justify it as a need. For instance, you have to eat, but eating at a nice restaurant with friends is NOT a need as you can eat much cheaper by putting a frozen pizza in the oven at home. A budget will NOT work if the money you allow for your expenses exceed your monthly income level. However, don’t be alarmed if this happens on the first draft of your budget though…it usually happens to everyone. If it does happen, what you need to do is decrease the amount of money allowed for some of your unnecessary categories until your budget matches your monthly income. Here I'll describe the basic principles of how to make a budget and save money. Below this section I begin the actual step-by-step instructions for how to go about it. So check this out and get a bit of an overview of what you will need to do to make a budget for the first time. You want to give yourself the opportunity to look at everything from a practical point of view before you jump right in. Below are the tips to help you do this. 1. Work with actual numbers. Don’t make the mistake of working with estimated numbers when you start a budget. Yes, you want to have goals to save for in your budget, but before you can begin saving for these things, you have to focus on the actual numbers that you have to work with each month. 2. Begin with the net income. Your net income is the money you actually bring home out of each paycheck. This is the money you are going to be figuring into your budget…forget the gross income that includes pretax/insurance/401k money and just focus on what you actually bring home. Before you begin your budget, you will have to have a good idea of what your regular monthly expenses are. So, go back through all of the bills you have received over the past few months and separate them into categories. You will need to keep bills separated into groups such as electric, cell phone, cable, etc. if they are from different companies. Then, total each group of bills up and divide by the number of statements you have to get an average. August - $175, September - $150, October - $160, they total $485 but average $161…so you need to set aside $161 each month for your electric bill. Now, just because you’re finished with your bills does not mean you’ve covered all of your expenses. You need to create a list of categories for your other expenses to ensure you have enough money each month to pay for these things. Keep in mind that every family’s budget looks different as they are unique so you may have some of the categories above and you may have some that are different. Once you’ve got your categories with an appropriate amount of money allotted for each category, total up all of the categories to get your grand monthly or bi-weekly total, depending on how/when you’re paid. If you have more money in your budget (all categories added together) than your actual net income each month or every two weeks, then you are going to have to make some cuts. Your budget has to be lower than your net income is in order to work. Now that you’ve got your first budget draft, it’s time to put it into practice and see if it works. Keep track of all of your expenses for the next month (the actual totals for each expense) and monitor how well your category totals fit your actual expenses. Below are the detailed step-by-step tasks you need to do to make a budget, and save money. You may have to do some slight tweaking before it’s the perfect budget! The first thing you need to do before you even think about creating a new budget is to determine how you spend your money now. So, the first step is to just keep track of what you’re spending. This is going to take cooperation between all the family members. For at least one month, you need to write down every penny that you spend. You also need to keep track of how much money is coming in. To do this, you’ll need to be as specific as possible so that you can get a true idea of your finances. For example, it’s not enough to write down that you spent $53.45 at the grocery store. You need to hang on to that receipt so that you know what you bought at the store. This will be important later when you’re looking at where you can trim your expenses. The simplest way to keep track is to get a spiral notebook and a large envelope. For the next month you’ll write down any money that comes in on the first two pages. For most people, income doesn’t take two whole pages, but you might want to leave some extra space. In most households, paychecks come at regular intervals and at most you get paid once a week. However, there are professions where money comes in sporadically and even daily. Just make sure you leave room for all the income you receive. On the following pages, you’ll write down any money you spend. This includes purchases made on credit cards and debit cards as well as cash. If you spend one penny, it needs to be written down in the notebook. You might want to keep a smaller notebook in your purse or car to help you keep track of spending when you’re on the go. Then come home and record it in the main spiral that the entire family is using. For every purchase you make, you need to ask for a receipt. Place all of the receipts in the envelope so that you can have them to reference later. This might be difficult to remember, but it’s really the most critical step. By the end of the month, this will come more naturally. And you’ll need to continue this habit for a while so that you can get control over what you’re spending and be aware. Awareness is really the first step. Believe it or not, most people have no idea how much money they really have coming in and how much is going out. You can’t have a realistic budget if you don’t know what’s happening with your money. You’ve been tracking your spending for a month. Now it’s time to examine it closely. This can take a few hours, so make sure you set aside a good amount of time to do this. If you have a spouse, this process is best done together. First you need to go through your income and total up what you brought in. This is a number that you need to pay close attention to. You’ll want to make sure that from now on you stay within this number with your expenditures. Next, you need to begin categorizing the money that’s going out. Getting your spending divided into categories will help you to make decisions about necessary expenses versus those that can be cut out. Now that you have the big picture, it’s time to make some tough decisions. Looking at your budget, it’s possible that your expenses outweigh your income. This is especially true if you have a lot of debt payments. You’ll need to either trim expenses or bring in more money. Which you choose will depend a lot upon your expenses. Now it’s time to make the hard choices. You’ll need to get out those receipts now. Go through every item that you’ve purchased and decide what purchases you needed and what purchases were really luxury items. It can be hard to be honest about your expenses, but it’s time to really take hard look at it and make sure you’re being realistic about needs versus wants. · Salon services – hair, manicures, pedicures, etc. · Entertainment- movies, shows, etc. This doesn’t mean that you have to throw out the baby with the bathwater. You don’t have to eliminate every single luxury item. However, if you’re spending more money than you make or charging items on credit cards, you need to trim those expenses. For example, if you go out to eat several times a week, try to eliminate one of those trips. Or limit yourself to eating out once a week. If you get your nails done every week, try alternating weeks. If you try to eliminate all the luxuries from your life, you may find that you end up going on a spending binge later. Instead, try to be realistic about what you can live with if you have some wiggle room in your budget. There are a few things you need to think about when you’re trying to reconcile your income versus expenses. Here’s how to know if you need to make changes of if you’re doing okay. Most people have an area where they can improve. Your first goal should be to stop charging on credit cards. If you can’t afford something, you need to try to eliminate that expense from your life. This may not happen overnight, but over time you need to get those expenses. Credit cards can really be a trap. You see something you want, but you don’t have money in the bank to buy it. So you reach for that little card that has some room on it and have the instant gratification that you crave. It feels great – until the bill arrives in the mail or your inbox. And while it seemed like a good idea at the time, credit card debt is one of the worst things that can happen to your finances. Unless you pay off your balance each month, you’re going to be paying a lot more than retail for the items you charge. It’s easy to justify credit card debt, but try not to. Remember that if you can’t afford an item with cash or what’s in your bank account, you can’t afford it period. Resist the urge to charge items. Instead of increasing your debt, you need to be working to get beyond paying the minimum payments on your credit cards. 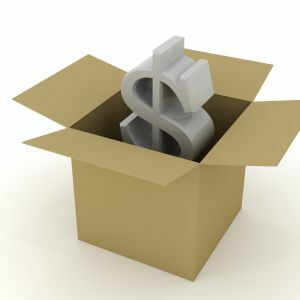 Paying only the minimums can keep you in debt forever – and the interest will often be more than the original purchase. Even if your expenses don’t outweigh your income, you need to look at how much you’re able to put into savings. You should be saving at least ten percent of your income and if you can’t do that, it’s time to trim expenses. If you’re already saving that amount, you might want to increase the percentage. The more money you have to save and invest, the more secure you’ll feel now and in the future. As you’re looking at where to trim expenses focus on putting more in savings. It’s possible that you’re cutting all the extras and still can’t make ends meet. This is especially true if you’ve recently undergone a major life change such as a layoff or divorce. Understandably, you may be feeling desperate at this point. If this is happening in our life, you may have to take on a second job to increase your income. You may also want to consider finding a way to get some extra education and training to help you increase your future income. It’s important to remember that, while the economy is bad right now it won’t last forever. Making sacrifices now will allow you to have a greater ability to manage your finances when things start to improve. When it comes down to it, you may not know what you should be spending on items. It’s hard to make a realistic budget if you don’t have a good knowledge of how your money ought to be distributed ideally. These are maximums. So if you spend less than 30% on housing, you can take that money and put it toward debt payments or increase your savings. Look at the percentages of where you spend your money. Do they match up? If not, it’s time to reallocate your funds. Make a plan using your income and expenses to make things match up a little more closely to this distribution. Then make a chart of how much should be spent each month in each category. You should post this prominently in your home. This will be your new household budget. You’ll also want to post how much debt you have and make a plan to pay it off as soon as possible. In the next section you’ll read ideas about how you can do that. If you don’t have debt, you can skip this section. However, most readers are going to find that this is an important part of the plan. If you have credit card debt, student loans, car payments, or any other type of loan payment it’s time to chip away at the debt and become free. Get out all of your credit card bills and look at your payments. Put them in order of smallest total balance to largest balance. Then look at the minimum payments for each. Rather than trying to pay more than the minimum on each card, focus on paying them off one at a time. Start with the one that has the smallest balance. For all the other cards only pay the minimum payment (and stop using them!). Then, for the card that has the smallest balance take any extra income you can and put it toward that card until it’s paid off. Once that one’s paid off, move on to the next lowest balance. When that one is paid off, go on to the next one. Continue doing this until they’re paid off. It may seem like a process that’s difficult and never ending, but once you pay off that first card you’ll feel a little extra motivation. You know what you have coming in, going out, and you have a plan to pay off debt. Now you need to continue to track your spending. This will help you to stay accountable for sticking with your plan. 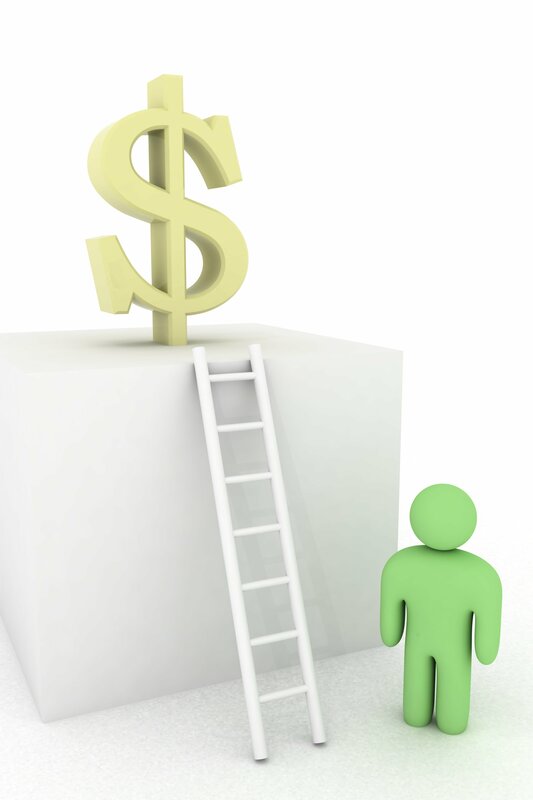 Many people make a budget, but then stop paying as close attention to spending and earnings. To have success, you’ll need to continue writing down every penny so that you don’t get out of control with your spending. Writing down your purchases will help you to be more mindful of them. It will give you a moment to think about whether or not a purchase is totally necessary or if it’s within your budget plan. It’s hard to plan for your future until you’re out of debt. Once you’re credit cards and other debts are paid off, you need to focus you efforts on saving for the future. This doesn’t include you mortgage- although it’s a good idea to put more and more money toward it to pay it off early. At this point you’ll want to increase the amount of money you’re putting savings and begin to think about investing in your retirement and education funds for your children. For this step, you’ll want to contact a financial planner. A financial planner can help you determine what investments are good for you and your family. Don’t just go with the first person you meet. Meet with a few financial planners to compare what they offer for you. With information in hand you can choose one that seems the best for you. 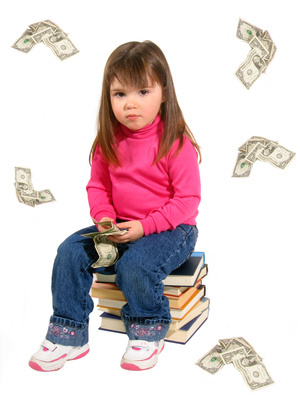 The earlier your children begin learning about money, the better. The habits they set up now are the ones they’ll carry throughout their lifetime. So it’s important to include them in on this process. You may want to sit down with everything first on your own and even make a poster of how much is coming in and going out before you share the process with your kids. But once you understand the big picture, you can talk to them about what you need to do. Let your kids help you to eliminate expenditures that are unnecessary – no doubt some of those purchases are for them. When it comes to buying toys and extra things that they want, it’s a good idea to start an allowance so they can begin understanding how to earn money and budget for themselves. A good rule of thumb is for allowance to be one dollar for every year of a child’s life. You can distribute it weekly or every two weeks. It’s important that your child has to earn that money, though, by doing some chores. They don’t have to be major chores and they should be age appropriate. Then help them to set up a container for savings and spending. You may even want to have a jar for donations to teach children about sharing what they have at an early age. As children, they can save more than you probably can as an adult. You might want to start with saving 20% of their income. Make sure to help them figure out how much that is and let them place it into the containers. Then when they want to purchase something, you can help them figure out how long it will take to earn the money. Once they have a good amount in their savings jar, you can take them to open up a bank account so they can become familiar with the banking system. Discussing finances openly with your children will also help them to understand why they can’t always have what they want. Instead of saying, “We’re too poor for that,” you can explain that the purchase isn’t in the family budget. Having the family budget out where everyone can see it can help kids to be part of the financial team. If you want to take a family vacation, it can be written on the poster and the kids can be taught that they have to give up some wants in order to save for something even better. Many people try to keep financial information away from their children for fear that they will then worry. But children need to learn about finances early so that when they become adults it’s not a shock to manage their own money. You’ll really be setting your child up for future financial success. Many people make financial mistakes because they aren’t educated about money or they have spending habits that began as a child. People have emotions surrounding money that began in their childhood and continue on into adulthood. Educating your children now is a great gift for them. If you are serious about creating a family budget, you have to get everyone in the family on board if you want it to be successful. Below are a few tips and tricks for how you can get each member of your family eager to be involved in the family budgeting process. 1. Have a Meeting and Talk about the Finances. A lot of parents try to keep their family’s financial situation hidden from their children. They don’t want to worry their kids with how bad things are. However, when you aren’t open about your finances with everyone in the family, it makes the situation even more stressful…especially when you’re trying to establish a family budget. Therefore, call a family meeting and open up about the family’s financial situation. To ensure you have everyone’s attention at the meeting, try to schedule it at a time when no one has another activity planned. You will most likely find that when you open up to your family about what is going on and why you’re trying to create a new budget, your family members will be willing to participate and help get things back on track. When you sit down to discuss the finances and the idea of a family budget, make sure that you explain how everyone in the household will be affected. For instance, when you cover the normal expenses your family accrues every month, list the expenses and show how everyone in the family has an expense associated with them. Your goal shouldn’t be to make anyone feel bad, but to show how easily expenses add up and how the financial situation is really a family issue. One of the difficult parts of creating a family budget is having to make cuts because most of the time, the things that get “cut” out are things that we enjoy doing. Make sure that everyone in the family is involved in the budget cutting process to ensure no one feels as if they are the only one who has to sacrifice something. Everyone should have to make a sacrifice, not just one person. Now, one of the fun parts of creating a family budget is getting to dream together and make family goals together. Talk to each member of the family and let them talk about something they would like to save up for. Once everyone has had his/her say, take all of these things and come up with a realistic goal that everyone is on board with. It may be taking a nice vacation in a year or purchasing a home entertainment center…whatever it is, everyone needs to be excited about it! Are you one of those people who have great intentions of creating and following a budget, but just haven’t done it yet? Or, maybe you have created an organized budget but haven’t followed it as well as you would like to? If so, then you know that a budget doesn’t serve its purpose if it isn’t followed or “stuck” to. Below are a few suggestions for how you can better follow your budget and stay within the numbers you’ve allotted yourself for various things. First, you need to review your budget to make sure everything is realistic. · Do I have too many categories? Is my budget too detailed/organized? · Is my budget not specific enough? Sometimes people create budgets that aren’t detailed enough, making them difficult to abide by. · Does my budget account for everything? For instance, if your family has decided to stop eating out 4 times a week to save money, have you allowed a little extra money in groceries so you won’t go over your grocery budget when buying food for the extra in-home eating? Make sure that if you make cuts that require you to spend extra somewhere else that you account for these overages in the appropriate categories. · Have I figured my income appropriately? If you have a budget that allows for more money then you bring in each month/payday then it isn’t going to work. · Have I allowed money for small rewards? Everyone does a little “binge” spending when their budgets don’t allow them to do anything they enjoy. Make sure your budget allows you to reward yourself in some small way occasionally. 2. Plan for fun differences. Budgets are designed to help you get your finances back in order by making cuts in certain areas. · Save money dining out by packing a fun Bento-style lunch. · Bring a sandwich and walk to a nearby park for lunch. · Make homemade pizza as a family instead of dining out at a pizza parlor. Watch popular sitcoms/movies online as a family. Or, sign up for Netflix and have regular movie nights while saving $50 on cable each month. · Research homemade product recipes. For instance, cleaning products, laundry detergent, shampoos and facial cleansers can all be made from common, inexpensive ingredients which will save you a ton of money! Remember to download your free report about how to save money on groceries! Have you found it difficult to save money and are slightly jealous of those who have built up a savings account of their own? Starting a savings account is an important thing to do because the money you are able to put back now may get you out of a financial bind later on down the road. For instance, what would happen if you suddenly lost your job or had an unexpected trip to the emergency room? 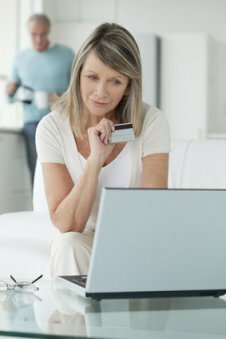 Would you have to pay for the associated expenses with a credit card or borrow money from a friend or relative, or both? With a savings account, you wouldn’t have to worry about this. As you can see, starting a savings account is important, but how do you go about it? Below are some tips to help you get started saving money with a budget. 1. Include savings as an expense. This sounds a little odd, but basically when you designate “x” amount of dollars each month to go to your savings account, you are treating it like an actual expense. By doing this, you will be paying yourself first…depositing money into your savings account shouldn’t be an “if I have money left over I will” sort of thing, it should be a “must do” thing, like paying your bills! 2. Save unexpected “windfalls” of money. Many of us receive unexpected amounts of money from time to time. It may be that you received $200 in cash from various people at Christmas or maybe you receive an inheritance from a relative. While it’s tempting to spend the money immediately, refrain and put it in your savings account (unless you have an emergency and need it promptly). When you put money in your savings account, you’ll find it’s hard to take it out and watch the number drop. If you are determined to start saving more of your money, you will need to pull out the budget and start studying it. Look for frivolous spending habits such as morning coffees from a coffee shop, casino visits, going to the movies, eating out, etc. When you cut back on these types of expenses, you will be able to build up your savings account quicker. 4. Require the kids to help out. While it is your job as a parent to see that your kids have the necessities (food, clothing, shelter, etc. ), you do not have to pay for your child to participate in every activity he/she wants to nor do you have to buy name-brand clothing or the expensive electronic “toys” that they want either. If your kids really want these things, then why not require them to help pay for them? For instance, offer to pay for half (or whatever your budget allows for) and require them to pay for the rest of it. This not only teaches them how to earn and save their money, but it also teaches them to prioritize their wants and appreciate the things they receive too. Although a lot of people use a budget template or plan to create their family budget, you are not restricted to a form when forming your family budget. After all, all families are different which means the majority of families will need a budget that is unique and fits their circumstances. Below are a few things to think about as you work to customize your family budget. Keep in mind that this is a “family” budget, which means that everyone in the family should be considered. In order to make your family budget a budget that fits your family, you will need everyone’s input. Try to come up with common goals together as you create your family budget. Budgets are notorious for bringing family members down because they are designed to reduce spending in various areas in order to save in others. Since saving money is the goal, get creative about it. For instance, instead of going out to eat dinner, have a family cookout! Cookouts are a lot of fun and they can even be done at a park where everyone can be outside enjoying the weather. Additionally, if you grow your own vegetables then you can grill those and save even more money. You can even cook pizza on a grill – so have fun and get creative about ways to save money! As you draw up your family budget, you may think that your shopping days are over. However, you and your family can still get out and go “shopping”…it’s just a different kind of shopping. Instead of shopping for all the things you think you need, make it a point to “shop” for the things you don’t need. Many families make a game out of this when they are doing their grocery shopping or some other type of necessity shopping. All you do is point out items on the shelves that you DON’T need…the person who finds the most outrageous item (that is not a need) with the heftiest price tag wins! It’s a jar that each family member deposits a quarter in for every swear word he/she says. This is a great way to improve your family’s habits while increasing savings…when the jar gets full, you and your family can go do something fun with it. Here are a few ideas for how to use it if swearing isn’t a problem in your home. There are also a lot of families who use a jar to collect the extra change they pick up during the day. For instance, if you pay $10 cash for something that cost $9.25…then you will have .75 in change left…deposit it into the family coin jar. At the end of the year, take the jar to the bank and split the amount of money between all the members of the family. A lot of people spend a lot of extra money by hiring “professionals” to come out and fix minor problems. However, with the internet, you can easily watch free online videos showing you how to fix virtually any problem you have. By doing home improvement projects around the house on your own, you will save a ton of money, which will give your family budget a little more money to “play” with. Most people have heard about emergency funds, but don’t know a lot about them. For instance, how much money do you need for an emergency fund? How do you set up an emergency fund? Is an emergency fund really necessary? These are all common questions surrounding emergency funds and the answers to them are below, so keep reading. How much money is needed for an emergency fund? If you have thought about starting an emergency fund, you are probably curious about how much money you need for it. You don’t need a huge amount, but you need to have enough money in it to cover an unexpected cost – such as an emergency room visit, flat tire or some other emergency. Therefore, to determine how much money you need in your emergency fund, determine what you consider as “emergencies” and how much you need to cover those costs. A good starting point for an emergency fund is $500. How do you set up an emergency fund? 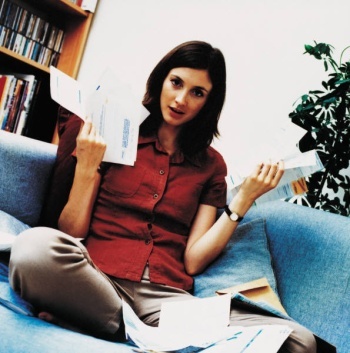 The first thing you need to do is look at your monthly living expenses and total them all up. Then, take that number and multiply it by six to get the “goal” amount for your emergency fund. A good emergency fund will cover all of your living expenses for approximately six months to ensure you will be able to get by if you lose your job or something equally traumatic happens. Once you know how much your “goal” amount is, look at your monthly income and determine how much you can put back from each month to reach this goal in a reasonable time frame (1 to 1.5 years). Then, set back that amount of money each month…just pretend the money you put in your emergency fund is just like any other expense that must be paid. If you have a relatively low income, you don’t have to set aside a huge amount each month to reach your “goal” amount in a year. Instead, you can take it slow by saving a small percentage of each paycheck. Just make sure you are saving a portion of each paycheck for your emergency fund, so that it will continue to grow. So, is an emergency fund really necessary? Yes, it really is. An emergency fund is like a cushion for life’s unexpected problems. We all know that things come up that we haven’t planned for financially. When you have an emergency fund in place, you won’t have to stress about these unexpected costs. Let’s face it, most people don’t like hearing the word budget let alone creating and following one. But, with the economy the way it is more and more families are finding that to survive they need a budget and a way to cut back on expenses as much as possible. Because you’re reading, it means you must be ready to get serious about your family’s budget. Now you just need to keep researching and learning more about how to manage money better and to get to work and set you budget. You can start with downloading my free how to save money on groceries book download here, and remember I have a ton of more pages about how to make a budget and save money below in the resources section. In the following pages, the first thing you’re going to learn about is probably one of the most important things to any budget – wants versus needs. Then you’ll learn about how you can cut back on household expenses, car and homeowner’s insurance as well as family health care costs. Another important topic you will learn about is entertainment. Many people think they have to completely cut out all entertainment when it comes to budgeting. That’s not the case and you will learn how to cut back on the cost but how you can still have a good time! The pages linked to below will close out with a few other important topics - money saving tips for kids' clothing, keeping birthdays affordable, save money by managing your time better and seasonal savings tips. Feel free to submit your own story or article about how to make a budget, save more money, or how to stick to a budget once you have created it, and I will create your own page here with your contribution for the community to read. Are Personal Checks and Checkbooks Really Necessary Anymore? Back to HOME PAGE of this how to make a budget section of the site.